Reading/Social Studies- So far we've read biographies called Salt in His Shoes, about Michael Jordan. This book opened up some great discussions about controlling the things you can control and letting go of the things you can't. We also started a 2nd biography titled Nothin' But Trouble, the Story of Althea Gibson. For this biography we discussed author's purpose, and how non-fiction authors use specific vocabulary. Math- We're still working hard on multiplication. 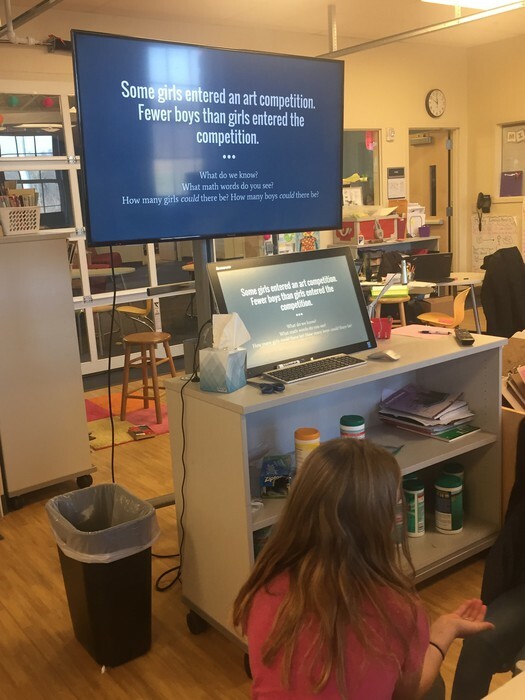 We also introduced numberless word problems this week, which really help students make meaning of problems and think about what they're being asked. 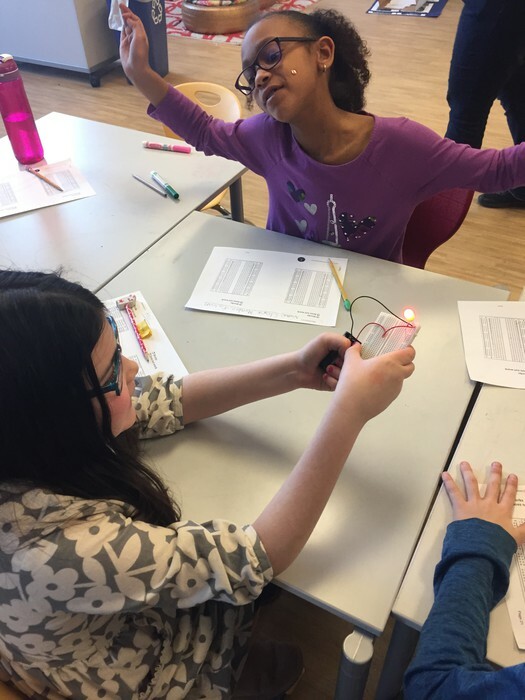 Science- We're continuing our circuit unit and students are loving it! 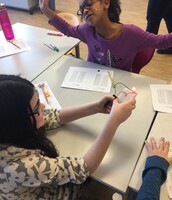 Yesterday, students used a breadboard to create a complete circuit. Every group was able to make their bulb light up! It was awesome seeing the excitement on their faces. Writing- We began our opinion pieces this week. Students were able to choose between three topics that interest them; Pokemon Go, Kids and Cell Phones, and Digital vs. Board Games. Students will read two articles about their topic and write an opinion paper based on the facts in the article. This will be similar to what they will see on the Ohio State Test in April. Click here to see the homework menu for the week. 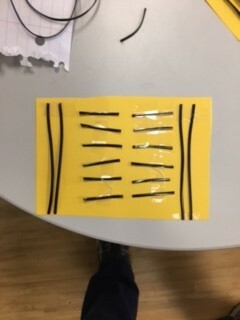 See the picture below for design challenge breadboard example. 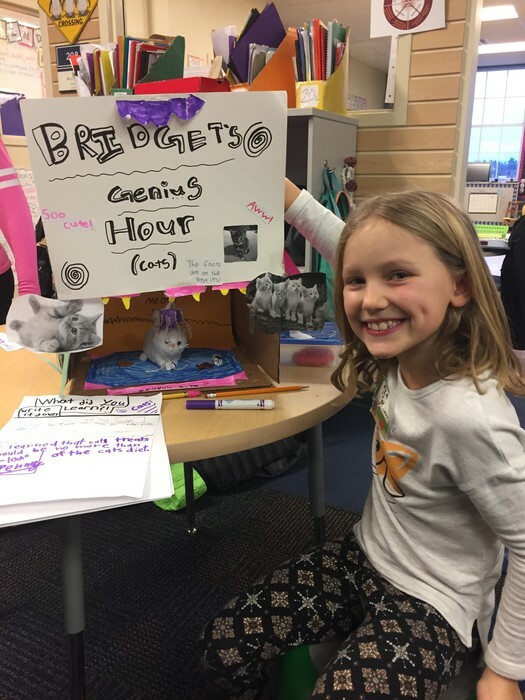 Thank you so much for coming out and listening to our Genius Hour Presentations! The students were so excited and so proud of their own work! We spent many, many weeks researching their topics, which is not an easy task for 3rd graders. Students had to use multiple sources, while trying to comprehend online text that may have been well above their reading level. They really persevered and were able to walk away with some amazing work and valuable knowledge. 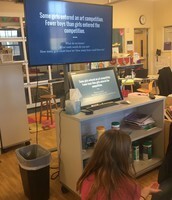 We will begin another Genius Hour unit in 2 weeks. Thank you to everyone who volunteered their time and/or materials for our Valentine's Day party! The students love these events, and we appreciate all you do to make them special. A huge Thank You to our room parents, Jenny Mechling and Colleen Wildenhaus, for all of their hard work and planning. These parties were amazing!! Clara and Gabi celebrate as their light bulb finally lights up. 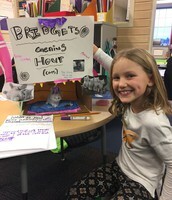 Bridget poses with her Genius Hour project. Look at that hard work! Students work through a numberless word problem to make sense of math problems.